One thing about promoting your business is that you’re in a rat race with hundreds of other companies locally, nationally, and internationally. And although your product or service may be the best, your clientele and your possible future clients may not know it. Sometimes it takes a little glint of light to catch their eye. That’s why using spot gloss UV on your printed business cards will help you achieve just that. Many business owners think that being too flashy isn’t good for business. In many cases this is true but when it comes to advertising your business, a classy yet flashy way of getting peoples attention will certainly help you line up potential customers and certainly help you qualify them as people that are truly interested. 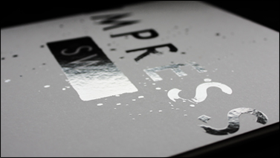 The spot gloss UV effect is a professional and modern way of upgrading your business cards. It will show that you take pride in your business and that you took extra care to even make your business cards reflect that. Spot gloss UV coating is a great way of standing out among the piles of business cards that lay upon the desks of your potential customers. Just like a properly formatted resume, a spot gloss UV effect will catch the eye of anyone flipping through the Rolodex or searching through their pile of cards looking for the right person for the job. For the minimal added expense you can take your business cards to the next level. Shine above the rest and don’t sell yourself short. Take pride in your work and in your business cards with spot gloss UV. This entry was posted in Business Cards, Design, Printing, Uncategorized. Bookmark the permalink.